Women use the range for free. 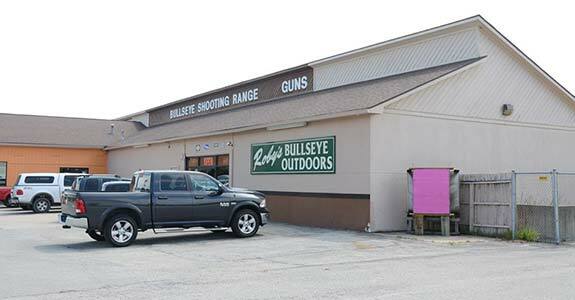 Roby’s Bullseye Outdoors is the leading provider of gun sales, purchases and trades in the Kokomo area. We offer our clients a diverse selection of firearms, bows, knives and more. Our spacious facilities are used for both merchandise and gun safety classes, and feature an indoor shooting range and an archery pro-shop. Get ready for a one-of-a-kind gun shop experience at Roby’s Bullseye Outdoors. At our store, we know exactly what customers are searching for when they look to legally buy, sell or trade their guns. For 10 years of business, Roby’s Bullseye Outdoors has provided gun owners with a reliable place to learn about and shop for firearms, bows and knives. As a proud member of the NRA, we go the extra mile to ensure that customers have a professional and quality experience at our gun shop in Kokomo, IN. Our knowledgeable staff is dedicated to answering client questions and helping you find the right gun for your needs. 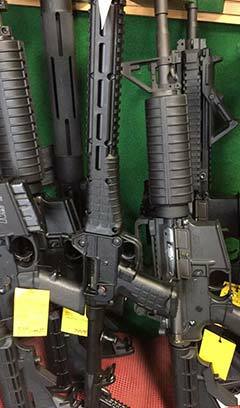 We carry a wide range of quality firearms, knives and bows that are available for sale. Our staff is extremely knowledgeable and takes pride in serving customers. We offer gun safety classes for new owners and individuals who would like a safety refresher. Our business allows for the legal purchase, sale and trade of firearms. Our inventory includes a variety of bows and crossbows located in our archery pro-shop. Reach out to Roby's Bullseye Outdoors today to learn more about how our firearm merchandise, classes and services can benefit your needs.